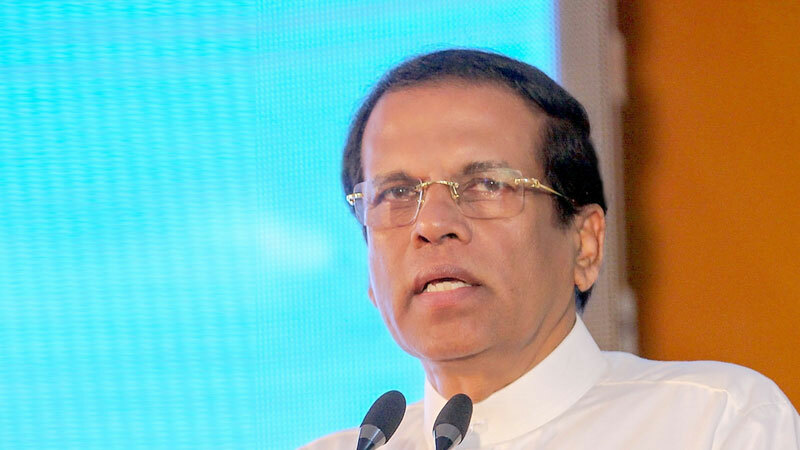 Death Penalty should be included as a punishment for offenses relating to abuse of public assets and state funds, President Maithripala Sirisena said yesterday. “If such a law be brought in during my tenure, I am ready to impose it on one or two of such persons who have misused and abused public assets and state funds,” President Sirisena pointed out. The President made these observations while participating in the National Awards Ceremony organised by the Committee on Public Accounts (COPA), recognising State Institutions with high level performances which was held at the Parliament Complex yesterday morning. President Sirisena was also critical of the delay in taking legal action based on findings and recommendations forwarded by several Presidential Commissions that he appointed in the recent past. He said people should witness action being taken upon the findings and recommendations of these Presidential Commissions. “Most commit offenses such as these because we do not properly implement laws. Unlike in Sri Lanka, in countries such as China and Singapore, they don’t take years to hear cases. They finish off within two weeks or so. They even impose the death penalty. Even though we have the death penalty in Sri Lanka, we do not enforce it. Since this is an important event held at Parliament premises, I would wish to request all political parties to support an initiative to include death penalty as a punishment for those who misuse or abuse public assets and state funds.” President Sirisena said. President Sirisena expressed his disappointment of the recent move by the government to withdraw a motion included into the Order Paper of Parliament to increase the salary and allowances paid to Auditor General Gamini Wijesinghe. He pointed out that he is not aware as to why such a move was taken. “The proposal to increase the AG’s salary has already been delayed for two or three years. Before two weeks, the Order Paper in reference to the salary increase was again withdrawn. Why, am I not aware of. This will discourage an officer who contributes earnestly to the job he is doing.What is the use if they cannot even get the salary they are supposed to.We should encourage and strengthen such officers. Then they will perform more,” President Sirisena said. President Sirisena also said that the government will soon establish the Sri Lanka State Audit Service which will be a crucial part in curbing corruption in the country. Speaking of the efficiency of the government service, President Sirisena observed that Sri Lanka could achieve rapid development if those who are attached to the government sector work properly at least for four working hours. President Sirisena commended COPA Chairman Lasantha Alagiyawanne for the achievements made by COPA and future projects the Committee has undertaken. Prime Minister Ranil Wickremesinghe, Speaker Karu Jayasuriya, Auditor General Gamini Wijesinghe, State Minister Eran Wickremeratne, parliamentarians, ministry secretaries and government officers were present at the event.